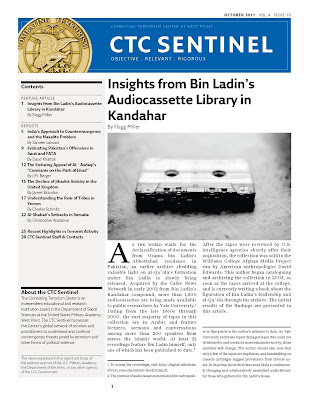 Originally said to have originated in Osama bin Laden's compound in Kandahar, Afghanistan, these tapes endured a long journey to the United States and to their final home in Yale University. 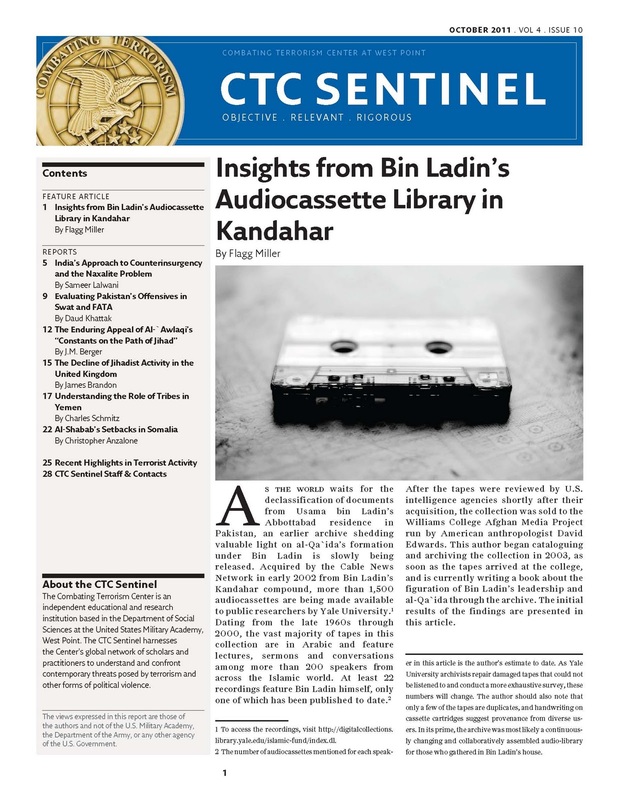 In the weeks following the Taliban's evacuation from Kandahar on December 7, 2001, the audiocassettes were initially acquired by a CNN producer and his Afghani translator. After the FBI declined stewardship of the tapes, CNN transferred the materials to Williams College's Afghan Media Project, headed by anthropologist David Edwards. After several years of work with the tapes, Edwards determined that Williams did not have the resources to preserve them. Yale was approached because of its well-known collections, scholarship, and database development related to Middle East studies. The tapes, many of which are in fragile and deteriorating condition, arrived in September 2006 and are housed at the Library Shelving Facility. Physical ownership of the tapes resides with Yale. The origin and custody of these tapes would perhaps provide an interesting compare/contrast with the IMF/Hoover/Ba'ath Debate. Al-Ahram Weekly: "Iraq's stolen memory"